BRITAIN: Queen Elizabeth II’s diamond jubilee next year, marking her 60 years on the British throne, will feature street parties, a concert and a pageant on the River Thames, Buckingham Palace said last week. Buckingham Palace have begun outlining plans for the Queen's diamond jubilee next year. Britain will have an extended four-day weekend from June 2-5 to celebrate her reign, while other Commonwealth realms, including Canada, Australia and New Zealand, will stage their own events. The British festivities will also see beacons lit across the country and a carriage procession, as seen at the April wedding of the queen’s grandson Prince William, where people will be able to line the streets to cheer on the royals. 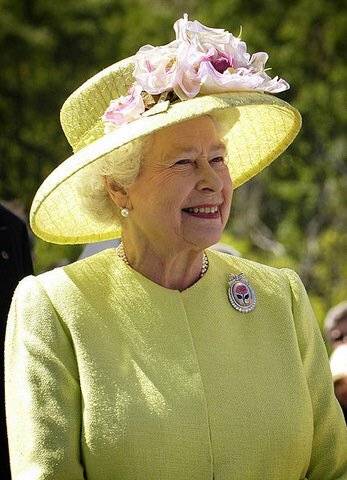 Elizabeth is the second longest-reigning monarch in British history, after her great-great-grandmother queen Victoria, who was monarch for more than 63 years. On Saturday June 2, the monarch, an avid horse breeder and racer, will attend the Epsom Derby, one of Britain’s five classics and its richest horse race. Sunday will see traditional street parties and picnics, one of the enduring features of the 1977 silver jubilee. It will also see up to 1,000 boats from Britain, the Commonwealth and the wider world sailing down the Thames in London. Queen Elizabeth will lead the flotilla in a newly-crafted Royal Barge. Monday, June 4, the spring public holiday, will feature a concert at Buckingham Palace, involving artists from Britain and around the Commonwealth. The 2002 golden jubilee concert memorably saw Queen guitarist Brian May playing the national anthem on the palace roof. Finally on the Tuesday, a special jubilee public holiday, 2,012 beacons will be lit across Britain, with Queen Elizabeth lighting the national beacon. Beacons have played a significant role in British history. They were lit across England in 1588 to warn of the approaching Spanish Armada. The 60th year of the Queen’s reign will be formally commemorated with a service of thanksgiving at Saint Paul’s Cathedral in London and carriage procession on June 5. Meanwhile dozens of towns across Britain will be competing to gain city status, with Reading, Doncaster and Dover among the favourites. Former naval hub Greenwich in southeast London will be made a royal borough to honour its close links with the royal family and its global significance as the home of GMT. Elizabeth, 85, became queen when her father, King George VI, died on February 6, 1952, while she was in Kenya on an official visit.